for making the 100th swim a huge success with record numbers. in excess of $16,000 for Telethon Speech & Hearing! Satterley develops some of Australia’s most beautiful residential communities. Nigel Satterley founded Satterley in 1980 and is a sought-after industry expert on Australian residential housing markets and cycles, taking on advisory roles to the Australian Federal Government and working with all levels of government to improve housing affordability. Satterley operates in three Australian states dominating the West Australian land market and rapidly gaining market share in Victoria and Queensland. 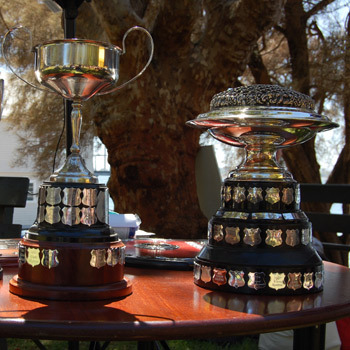 Satterley has a proven track record to deliver award-winning communities. Trust, quality and strong financial performance are the keystones of the company and the brand name has become one that that people know and trust. It’s no wonder that more than 250,000 people choose to call a Satterley community home. People know that when they move into one of Satterley’s masterplanned communities they are purchasing a lifestyle, not just a postcode – a place that meets their current and future needs. Carbon Group provide a one stop shop for core business needs. We have multiple divisions led by industry experts offering services in accounting, advisory, R&D, bookkeeping, payroll, cloud integration, insurance, finance and financial planning. By building lasting and trusting relationships with our clients, we provide business owners with the tools to enable them to take control of their business. Our Event Partner, Pure Leasing Central, is a specialist property management business based in Perth’s western suburbs. In contrast to real estate agencies, Pure Leasing Central is dedicated to property management, allowing the company to provide an exceptional level of customer service superior to its competitors. With over 45 years’ experience in the industry, Pure Leasing Central’s team really enjoy what they do, treating both landlords and tenants with the respect they deserve. For your investment property, look no further than Pure Leasing Central. UWA Sport provides a diverse range of fitness, sport and recreation activities and courses for UWA students, staff and the wider community. ASB Marketing are the experts in quality branded promotional merchandise. Specialising in corporate clothing and uniforms, event merchandise, corporate gifts and promotional giveaways. ASB Marketing has the largest and most comprehensive showroom of promotional products in WA, with thousands of ideas on display. VenuesWest provides world class sport and entertainment experiences for the people of Western Australia. With over 25 years’ experience, our continued commercial success enables us to support high performance sport in Western Australia. By visiting a VenuesWest venue you are contributing to building pathways for young Western Australians to learn skills and be inspired by high performance sports training and events. Our venues are HBF Stadium, HBF Arena, SpeedDome, Perth Motorplex, WA Athletics Stadium, Bendat Basketball Centre, RAC Arena, Champion Lakes Regatta Centre, WA Rugby Centre, WAIS High Performance Service Centre, State Netball Centre and Optus Stadium. Bindi provides the energy to fuel your dreams. We support Australians who understand the value of quality, natural nutrition products. Our Australian Grown chia seeds are bursting with fibre, omega 3 and protein. We guarantee the high quality nutrition in each chia seed as we sustainably grow it ourselves in the pristine Kimberley Region of Western Australia. We bring chia to you in its simplest form, pure, clean and sun ripened. At The Happy Snack Company our number one priority is to make you feel good about the snacks you eat. Our range of roasted Chic Peas and Fav-va Beans are 100% nut and gluten free and come with a 5 star health rating, so you know you’re making the right choice for you and your family. The Department of Biodiversity, Conservation and Attractions was created on 1 July 2017, following the State Government's decision to bring together the Botanic Gardens and Parks Authority, Rottnest Island Authority, Zoological Parks Authority and the former Department of Parks and Wildlife. The department works with other state government agencies, local government, industry and the community to manage and protect Western Australia’s national parks and wildlife. 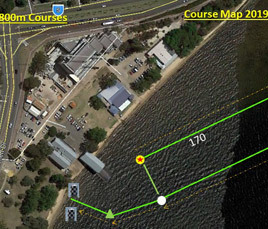 The department manages the Swan Canning Riverpark to ensure it remains a healthy ecosystem and popular recreational destination for Perth’s residents and visitors. the need for an all-encompassing aquatics company, one which offered products for those getting into a pool for the first time through to the competitive swimmer. has led to Vorgee becoming one of Australia’s leading and most preferred aquatic brands. Ocean Grease is a range of anti-chafing lubricants made from anhydrous lanolin (wool fat) and petroleum jelly for open water swimmers. 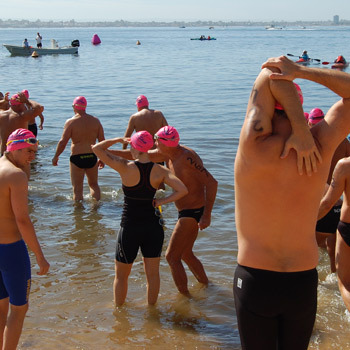 Ocean Grease was developed by a pharmacist who recognised that swimmers often found it difficult to purchase anti-chafing lubricants before open water swims. Ocean Grease has simplified life for open water swimmers by supplying open water swimming lubricants online, in practical quantities and in user friendly packaging. Swan Transit is responsible for 35% of Perth’s urban bus network and for regional bus services in Bunbury and Busselton in the state’s South West, as well as the Albany Regional Town Bus Services. With almost 600 buses and over 1,000 staff, we operate across nine depots, with an additional 62 buses across three depot in Bunbury, Busselton and Dunsborough. Claremont Quarter, completed in 2011, is Perth’s premier fashion and lifestyle retail destination. More than just another shopping centre, the high streets along Bayview Terrace and St Quentin Avenue seamlessly flow into two levels of open malls creating a cosmopolitan village atmosphere.Covering 30,000sqm, shoppers enjoy over 130 boutiques and cafes including a new format David Jones, fresh food market and a WA award-winning Coles. Westside Private Charters offers a professional, firendly bus charter business in & around Perth's suburbs and greater Western Australia. Our bus and minibus charters are available for as short or as long as you need it. So for your simple airport transfer or your weekend away down south, call Westside Private Charters and know that getting there and home again is under control. 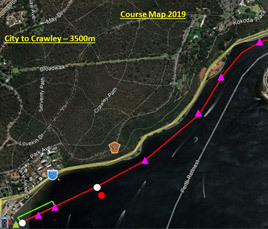 The 2019 Swim Thru Perth is proudly part of WOW Swims, the community swim series for all. WOW Swims are designed for swimmers of all ages and abilities to experience the thrill of open water swimming in a range of settings and over a variety of distances, and to encourage participation in community events as part of a healthy lifestyle..
A classic mile in a heritage year. We are delighted to announce that seven-time World Champion Marathon swimmer Shelley Taylor-Smith returns as Event Patron for the 2019 Swim Thru Perth. Shelley’s passion for the sport of open water swimming is boundless and her achievements unparalleled. She brings decades of experience to an event that she first swam and won as a 12 year old! 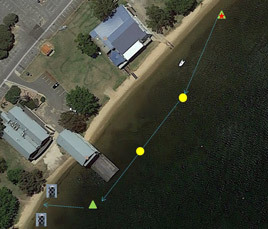 The 2019 Swim Thru Perth is proudly part of WOW Swims, the community swim series for all. 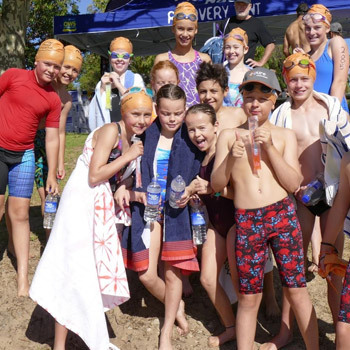 WOW Swims are designed for swimmers of all ages and abilities to experience the thrill of open water swimming in a range of settings and over a variety of distances, and to encourage participation in community events as part of a healthy lifestyle.